The secret to happy, healthy hydrangea blooms lies in if or when you prune. Of course, there's a lot to be said for fertilizing and providing the right location. However, those efforts will be all for not if you don't prune correctly. And, pruning is different than deadheading. When we say, "pruning', we mean more invasive cutting to maintain shape or to remove dead growth. However, feel free to cut blooms for arrangements or remove the blooms when spent. Depending on the variety, hydrangeas bloom on old wood or new wood. If and when to prune depends on the wood from which they bloom. 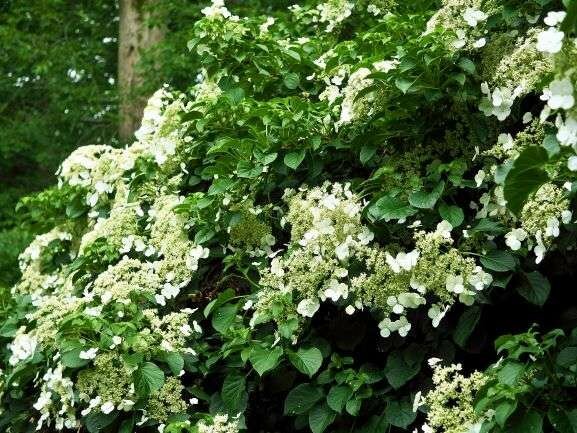 Hydrangeas that bloom on old wood do not need pruning and are better off for it. If you leave them alone, they'll bloom more profusely the next season. But go ahead and gently thin or deadhead. Just remember new growth may come, but that new growth will be without blooms next season. There are four varieties in our area that bloom on old wood. And, they are not limited to the colors shown here. 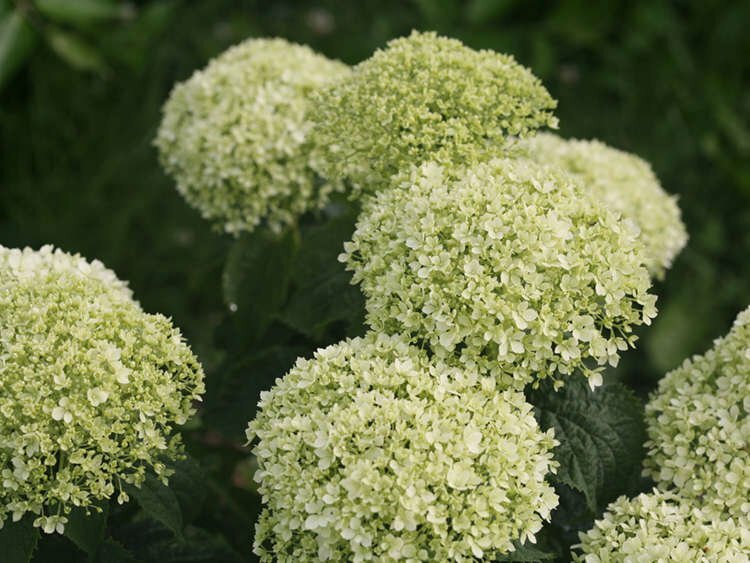 Large, round flower clusters ("mopheads") and those with flat, lacecap blooms. Climb by way of suckers. Resist the urge to remove the dormant growth on your wall or trellis. Large leaves that resemble an oak leaf and the flower heads are more cone-shaped. The leaves turn red-orange in fall which is a nice surprise for a hydrangea. Very similar to lacecap varieties, but they are more compact in size and have small leaves. 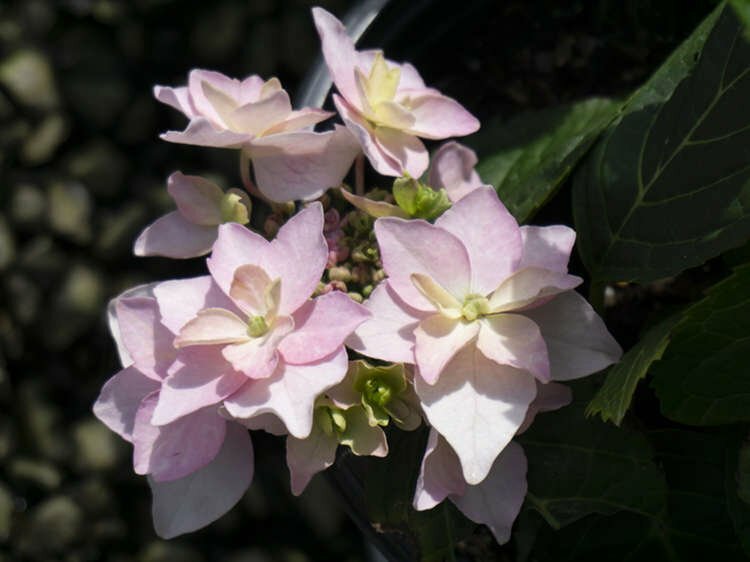 Hydrangeas that bloom on new wood require pruning in late winter or early spring. Prune to shape, cutting back to about two feet. The pruning promotes new, sturdy growth, which provides the blooms next season. There are two varieties in our area that bloom on new wood. And, they are not limited to the colors shown. 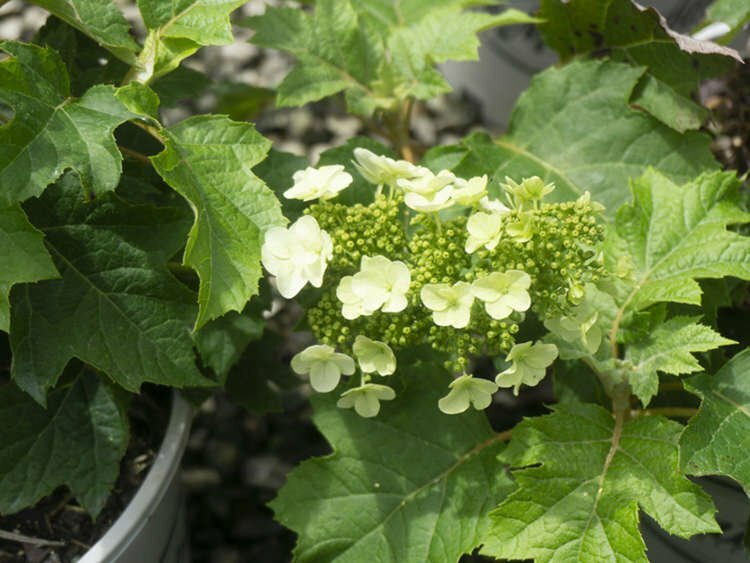 Cone-shape blooms, but does not include Oakleaf varieties. Keep the blooms on through winter for interest; they're really pretty when dried out. Considered a wild variety. 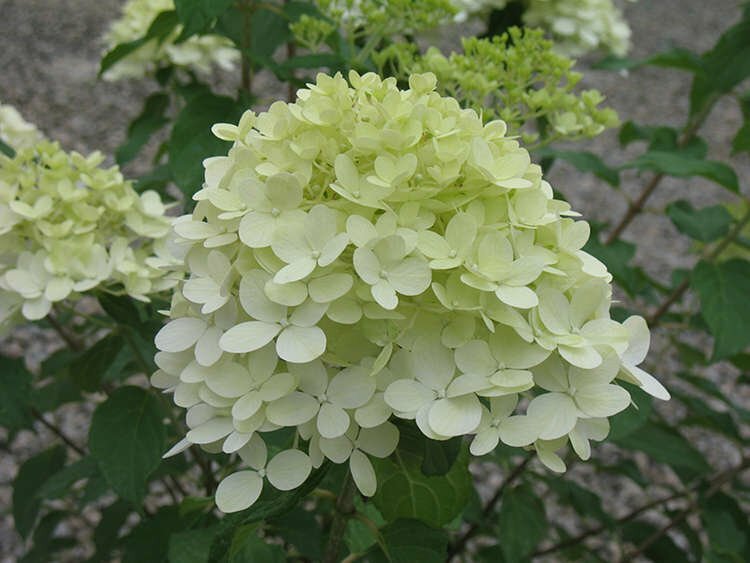 They are generally white, and have much smaller blooms and leaves than those of a Bigleaf varieties. They can get very tall and like full sun. 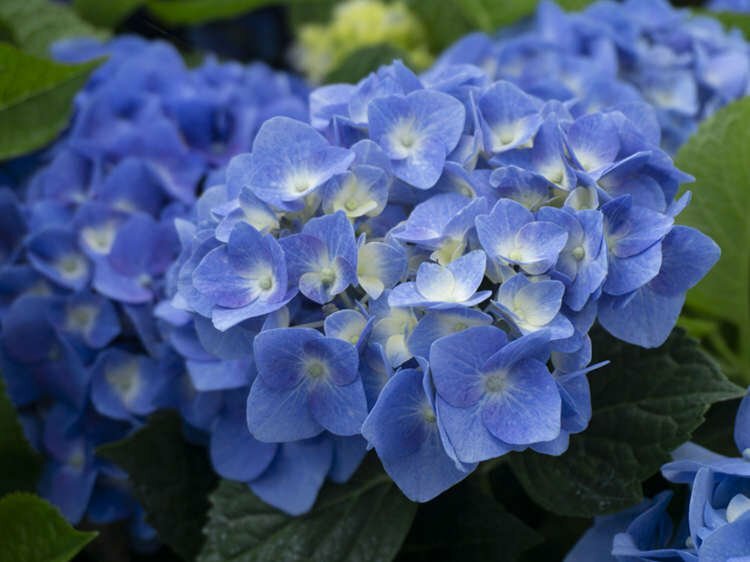 Now that you know if or when to prune, you can avoid the frustration of a hydrangea that doesn't bloom. Don't forget that well-draining soil and good organic fertilizer goes a long way to promoting beautiful blooms on a sturdy shrub. Stop in and we'll point you in the right direction to grow your green thumb.